The MRTvision Screenshot Contest 1 is the first edition of the MRTvision Screenshot Contest. The contest is the original MRT Screenshot Contest with Eurovision style voting and representation. The first contest debuted on June 16, 2018 at the General Staff Meeting. It replaced the MRT Screenshot Contest. The slogan was Celebrating Six Years. The winner was revealed during an informal ceremony on Mumble on July 8, 2018. The Central City Performance Center in Central City was named as the honorary venue on March 24, 2019. The winner was Murrville with the screenshot "After The Party", taken by Cortesi. In 2018, MinecraftYoshi26 became more interested in the Eurovision Song Contest wanted to create a contest that brought the Eurovision Song Contest to the server where everyone could partake, regardless of singing abilities. He ultimately came up with the idea of mixing the Eurovision Song Contest's style of voting and other aspects with the MRT Screenshot Contest. The concept was finalized at the General Staff Meeting on June 16, 2018. The contest features members representing cities, each submitting a screenshot to be voted on by the participants and the willing public. Each city and willing non-participants award a set of 12, 10, 8–1 points to their 10 favorite screenshots, respectively. Each participant is required to vote, or may face disqualification or being banned from participating in future contests. There was no official theme selected, other than the slogan. The slogan was stated as the theme as it was broad enough to encompass a large rang of photos. The deadline to join was on June 23, 2018 at 11:59 p.m. UTC, but was extended until the last day to submit screenshot as well, June 30, 2018, by some demand. 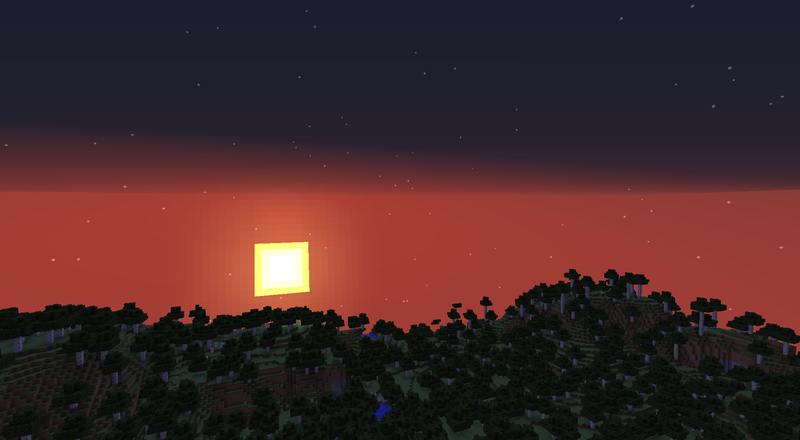 The deadline to submit a screenshot by sending it to MinecraftYoshi26 was June 30, 2018 at 11:59 p.m. UTC, but it was closed early by about an hour. The draw was selected and voting opened immediately after with voting open for a week. The winner was able to influence the slogan for the next contest, choose the next host city, and received $5,000. Second place received $3,000. Third place received $1,000. The top 12 were featured on the website. All other competitors received a $20 participation stipend. Cortesi, representing Murrville, won with the screenshot "After The Party". All of the screenshots are viewable together on a public Google Folder. a. ^ The Central City Performance Center in Central City was announced as the venue for contest; however, it was dropped as the host city shortly after its announcement and there was no official venue for the contest. It was added as the honorary venue for the contest post hoc. b. ^ Lanark is partially shown in the screenshot. c. ^ Eagleshore is the closest city to the location photographed. d. ^ Chuno is the closest city to the location photographed. e. ^ While Coruscant and Eagleshore both finished with one point, Eagleshore is listed as finishing "ahead" of Coruscant due to the tiebreaker rule that favors the screenshot latest in the draw order. This page was last edited on 31 March 2019, at 00:50.